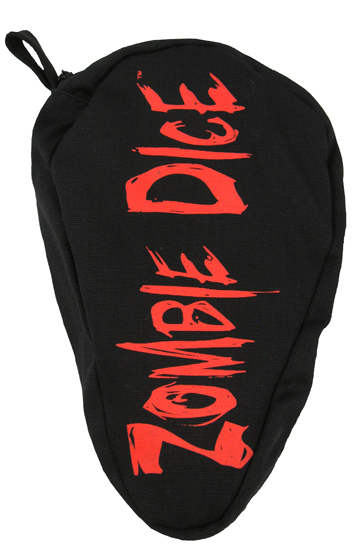 The Zombie Dice Bag is a high-quality zippered bag. The mouth is large enough to fit your hand in to draw out individual cubes for Zombie Dice, or for dumping the entire contents at once! 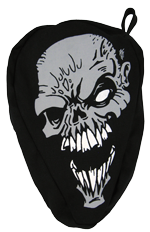 The bag also has a sturdy loop, perfect for attaching to a backpack or belt. 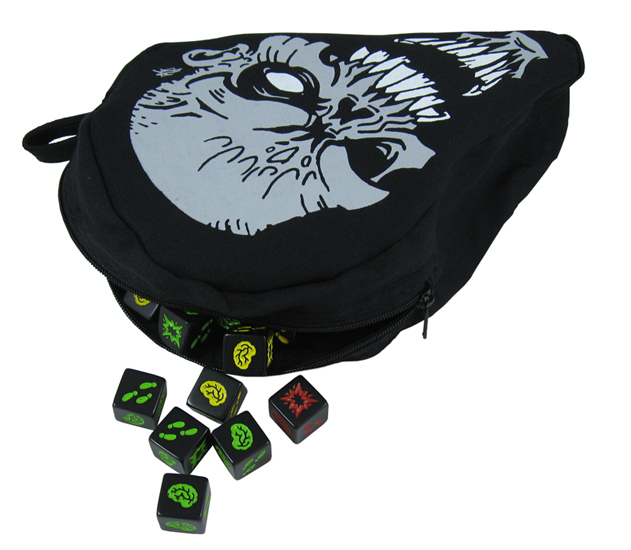 You can use it for your regular dice collection, but it's perfect if you want to carry your Zombie Dice game in a backpack, or take it camping, or anywhere else that might crush or soak the original dice cup. One side features the smiling zombie drawn by Alex Fernandez; the other has the Zombie Dice logo. Learn how to play the game with our Flash demo. Play Zombie Dice on your iPhone, iPad, or Windows Phone . . . and it's FREE! Want your phone to moan for brains like a zombie? Of course you do. Check out the free zombie ringtones on the Zombie Dice App page.